Help your teams do better work in less time with AI. Read Forrester’s AI recommendations. AI allows your teams to gain clarity from complexity fast, so they can focus on more interesting work. Learn more at the AI & the Future of Work Virtual Summit with IBM and WIRED. How productive could your employees be if they had fewer tedious tasks to take them away from serving customers or performing critical research? With AI, employees can provide recommendations faster and make decisions with greater confidence. Discover three ways businesses are using AI to automate work and make it more interesting. Build, embed, and integrate custom intelligent AI solutions for your unique use case. AI learns from employees who know your business – not just from technical experts – to gain a deep understanding of your industry. 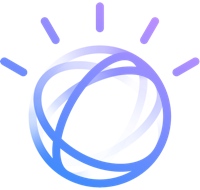 Work with IBM experts to give your teams the ability to find what they need, when they need it. Schedule a consultation. Financial consultants, agents, and advisors can accurately analyze millions of documents in less time with natural language processing and text analytics. You've seen the obstacles facing business leaders in today's rapidly shifting AI space. Dive deeper into these challenges, and explore how AI helps businesses close the talent gap.